Attend both days (Sat Oct 17 & Sun Oct 18). HEART members please login to the HEART website before registering. Attend only the Saturday, October 17 session. Attend both days - Sat Oct 17 & Sun Oct 18. Please note these sessions are at 2 different venues. Attend only the Sat Oct 17 session. Whether the audience is companion dog owners or experienced trainers, Suzanne's broad knowledge, common sense and humor offer exciting, practical information and approaches that will enhance the dog/human relationship. Her book, Bones Would Rain from the Sky: Deepening Our Relationships With Dogs has received wide spread praise from every corner of the dog world, including twice being included in the Wall Street Journal's list of Top 5 Dog Books. 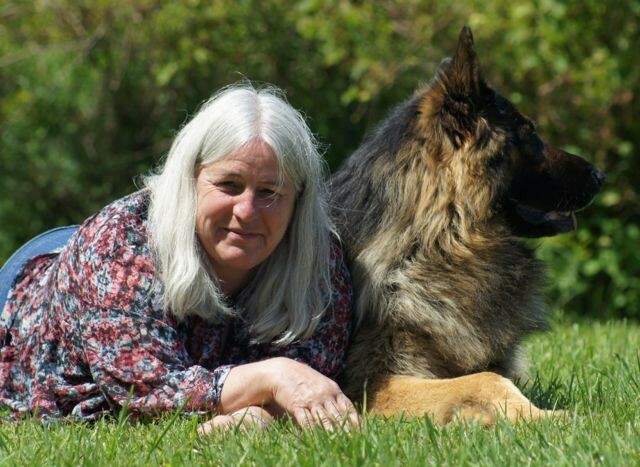 An award winning author of videos, books, booklets and numerous articles, Suzanne has written articles for the AKC Gazette, Dog Fancy, Dogs In Canada, Off Lead, Clean Run, Wolf Clan and breed magazines and newsletters around the world. She served as a committee member for the AKC’s Agility Advisory Board, and as a committee member of the American Humane Association’s Task Force for the Development of Humane Standards in Dog Training.